Location, location, location. FULLY DETACHED patio home in a prime Central Phoenix location! Light, bright & airy with large atrium that provides tons of natural light. 2 bedrooms PLUS a huge den/office. Kitchen has granite counters, upgraded pecan cabinets, tile backsplash & stainless steel appliances. Fridge included. Eat-in kitchen & formal dining room with wet bar. Great room has soaring ceilings, large gas fireplace with french doors. Master has a view of large private patio, private en suite bathroom with double sinks, large walk-in shower & huge walk-in closet. Also: split floorplan, laundry room (washer/dryer included), attached 2 car garage with storage, alarm system. Enjoy all Central Phoenix has to offer within minutes of this easy to maintain home. Old Republic Home Warranty included. Location, location, location. FULLY DETACHED patio home in a prime Central Phx location! Light, bright & airy with large atrium that provides tons of natural light. 2 bedrooms PLUS a huge den/office. Kitchen has granite counters, upgraded pecan cabinets, tile backsplash & stainless steel appliances. Fridge included. Eat-in kitchen & formal dining room with wet bar. 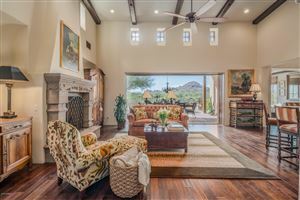 Great room has soaring ceilings, large gas fireplace with french doors. Master has a view of large private patio, private en suite bathroom with double sinks, large walk-in shower & huge walk-in closet. Also: split floorplan, laundry room (washer/dryer included), attached 2 car garage with storage, alarm system. 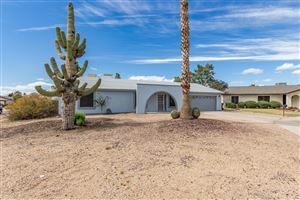 Enjoy all Central Phx has to offer within minutes of this easy to maintain home. Old Republic Home Warranty included.